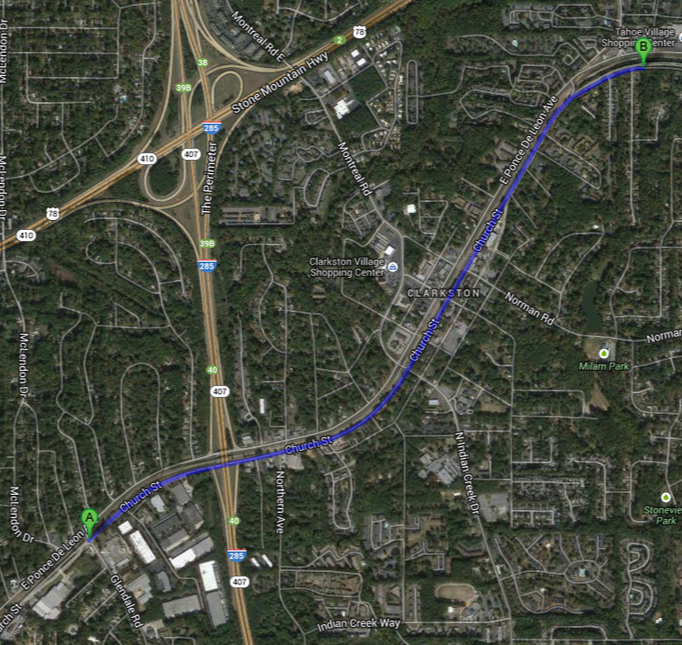 Medlock Area Neighborhood Association (MANA): Want A Bicycle Bridge Over I-285 on the PATH Stone Mtn Trail? Want A Bicycle Bridge Over I-285 on the PATH Stone Mtn Trail? Next Tuesday October 8th at 10AM the DeKalb County Commission will consider a proposal to condemn approx 10’ (average) off the Church St edge of the CSX railroad right of way from Glendale to Erskine for the purpose of building a trail bridge over I-285 and a continuous multi-use trail along the route. If you've ever ridden the trail, you know this is the worst & most dangerous section between Decatur and Stone Mountain! PATH and the County have the funds, GDOT has approved the bridge, the permit is in place and the Clarkston City Council is in support and now is the opportunity to make this happen.